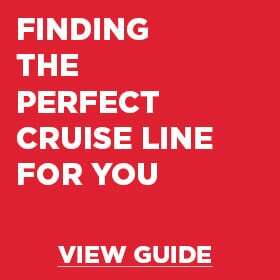 Cruising has its own language of lingo and jargon which can be confusing for the first time cruiser (and even for the cruiser with a few under their belt). Let us take a bit of the hassle out of booking your cruise holiday by translating the ‘cruise speak’ that us in Cruise Guru Headquarters sometimes take for granted! Before you know it you’ll be speaking cruise like an aficionado! To head aft is to move towards the back of the ship where the engines are located (stern). Otherwise known as Buy One Get One Half Off. 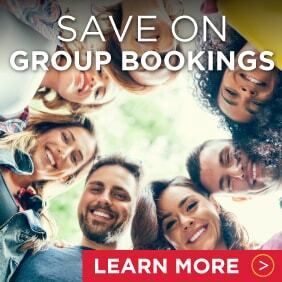 This is a popular promotion offered by the cruise lines where, if you book a twin cabin, the second person in the stateroom travels at up to half price. This applies to the cruise fare only (not NDA’s or taxes). The front end of the ship. While the word stateroom conjures romantic images of luxury travel, the words stateroom and cabin are actually referring to the same thing – the room you will be spending your nights sleeping in and your days avoiding as you are just having too much fun aboard your ship! The process of getting off the ship. This may just be at a port of call or may be the part of your trip that you’re dreading – when your amazing cruise holiday comes to an end. Your ‘disembarkation port’ is the port where you get off the ship permanently (or just for a little while) and start planning your next cruise holiday. Also known as disembark or debark. The exciting part of your trip: when you get on board! Your embarkation port is the port in which you board the ship to start your amazing cruise holiday. To head forward is to move towards the front of the ship where the bow is located. When you book another cruise while onboard a cruise through one of the cruise line travel consultants onboard. When onboard your cruise there is likely to be a desk or office you can visit to make enquiries about booking again on the same ship or cruise line that you are currently enjoying. The cruise lines will often offer some fantastic deals for those who book their next cruise onboard! Some cruise lines even have offers for those who aren’t able to commit to a set of dates by allowing them to pre-purchase the deposit for their next cruise which, when applied to their next booking at a later date, can entitle them to bonus onboard credit. The walkway used to move passengers between solid ground and the cruise ship. Indicates that a cruise line is entitled to priority berthing at a particular port of call. When booking a cruise you might find that cruise lines are promoting their ‘Grandfather Rights’ in a particular port of call. In a nutshell, a cruise line will receive Grandfather Rights when they are the first cruise line to ever cruise into that port. As a result, in the future, when multiples ships are in that port on the same day, any ship from the cruise line that has grandfather rights at that port will get priority berthing. While we in Australia do not have a strong tipping culture, most cruise lines have originated from countries that do. As such, there are a number of cruise lines that have gratuities or hotel service charges (tips) that are paid in addition to the price of the cruise. 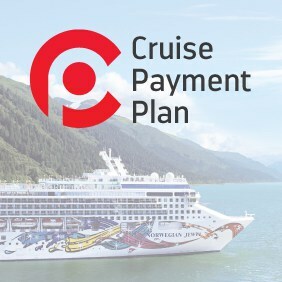 On some cruise lines you can prepay these fees, but on many an amount per day (as outlined in the terms and conditions of that applicable cruise line) is applied to your onboard account to be settled at the end of the cruise. These funds are distributed between the staff onboard, including your cabin stewards, wait staff and kitchen staff. When you have booked a cabin on a cruise, however the specific cabin number and location will be assigned by the cruise line closer to sailing. There are two instances where you might book on a guaranteed stateroom. There is a special promotion where you can book, for example, a ‘Category X – Guaranteed Balcony Cabin’ at a reduced rate. When you book a cabin on this category you are agreeing to allow the cruise line to select your specific cabin number. You are guaranteed to receive a balcony cabin onboard the ship, however it can be located anywhere and may have an obstructed view. Your cabin number can be allocated at any point from when you make your booking up until the day you are due to sail. You are unable to make any requests as to where you would like your cabin to be located, and specific cabin numbers are allocated at the discretion of the cruise line. Should you wish to be located in a particular area of the ship or near travelling companions it is recommended that you DO NOT book on this cabin category, but rather book on a cabin type that allows you to select specific cabin numbers that meet your requirements. You are looking to book, for example, a OF Oceanview Stateroom on the Pacific Jewel on P&O Cruises current campaign offer, which is located at the front of deck 9. However, when you go to select a cabin number there are no specific numbers available, only cabins labelled GTY. When a cabin category starts to get quite full, cruise lines may prevent guests from booking specific cabin numbers so as not to overbook the ship. When booking a GTY or guarantee cabin on a specific cabin category, you are once again agreeing to allow the cruise line to select your specific cabin number. You are guaranteed to receive a cabin in the category you selected, or in a category higher. Eg. In this instance you are guaranteed a cabin in category OF Oceanview or you may be upgraded to a higher category. This does not necessarily mean that you will be upgraded to a balcony cabin. You may only be upgraded to a higher category of oceanview cabin that is located on a higher deck or closer to midship. Please note, it may be that when you are provided with an upgraded category your cabin may now be located closer to midship, a preferred location, but on a lower deck than the cabins in the category you originally selected. Eg. Moving from an OF Oceanview cabin on Pacific Jewel, located at the front of deck 9, to an OC Oceanview cabin, located mid-ship on deck 5. In very rare occasions, you may find that your cabin gets upgraded an entire stateroom type (eg. From oceanview to balcony), however you may also find that your new room category has an obstructed view. Your cabin number can be allocated at any point from when you make your booking up until the day you are due to sail. You are unable to make any requests as to where you would like your cabin to be located and specific cabin numbers are allocated at the discretion of the cruise line. Should you wish to be located in a particular area of the ship or near travelling companions it is recommended that you DO NOT book on this cabin category, but rather book on a cabin type that allows you to select specific cabin numbers that meet your requirements. You may have seen the world homeport floating around in cruising publicity, and it is usually something that is shrouded in excitement. Homeporting means that a particular ship is calling a certain port home (aka this will be their embarkation and debarkation port) for a certain period of time. This may just be for a few months or a few years. You may also find that a particular ship homeports from a certain region. Eg. In 2019/20, Cunard’s Queen Elizabeth will be homeporting in Australia for 101 days with cruises departing from Perth, Adelaide, Melbourne, Sydney and Brisbane. The Passenger Services Act (that many refer to as the ‘Jones Act’) prohibits ships of non-US registry (which is most of them, for tax reasons) from embarking and disembarking passengers at two different US ports. The exception to this rule is when the cruise itinerary includes a distant foreign port. Please note, Canada, Hawaii, Mexico, Central America, Bermuda and most Caribbean islands DO NOT qualify as distant foreign ports. You are able to embark or disembark in a port that is not the USA, however you must be careful if you’re looking to undertake two or more back-to-back cruises as US laws will judge whether or not you are adhering to the Passenger Services Act on the combined itinerary rather than each individual journey. If you’re concerned as to whether you are meeting the requirements of the Passenger Services Act, please contact one of our friendly staff. NDA’s stand for Non-Discountable Amounts. 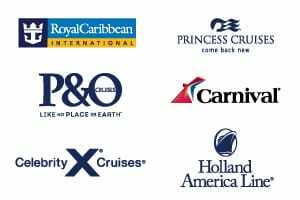 These are incorporated into the total amount that you will be paying upfront for your cruise. The total price of your cruise tends to consist of three different components. The first component is your cruise fare, which pays for the food you consume, activities, staff wages etc. You’ll find that if a cruise line is offering a discounted promotion on your cruise, the discount comes out of this part of your cruise cost. The second part is taxes, which are fees stipulated by the governments of the ports you are visiting on your cruise holiday. The third part, NDAs, refers to any other fees that must be paid and, most importantly, cannot be discounted, in order for you to take part in your cruise holiday. Examples of these fees are fuel surcharges and port surcharges. Any room where the view, whether from the balcony or window, is impeded in some way. This may be as a result of a lifeboat located in front of your window or balcony, or simply some element of the ship’s hull is blocking your view. There are two different types of obstructions – partial, where you still may have ocean views around the obstruction, or full, where your view is fully blocked by the obstruction, however you may still be able to get natural light into your cabin. In a nutshell – virtual money! This money is provided to you by the cruise line or from Cruise Guru directly to spend while you are onboard your cruise. It is applied to your onboard account and can be used almost anywhere on the ship (excluding the medical centre or the casino). Just swipe your cruise card to pay for your cocktail, specialty dinner, shore excursion or other onboard purchase and the value of your purchase will be deducted from this credit amount. The left side of the ship when you are facing the pointy end. A bed that pulls down from the ceiling or folds down from the wall of a cabin. While some cruise lines have ships that focus on one region of the world all year round, many ships migrate between multiple regions throughout the year. The cruise during which the ship is moving from one region to the next is that ship’s repositioning cruise, or more colloquially known as a Repo. For example, Celebrity Solstice spends Australia’s summer cruising the islands of the South Pacific, New Zealand and Australia’s coast, however as the weather starts to get warmer in the northern hemisphere, she heads north to cruise Alaska. Celebrity Solstice’s repositioning cruise embarks in Sydney and disembarks in Honolulu followed by a second repositioning cruise that embarks in Honolulu and disembarks in Vancouver. These repositioning cruises are very popular, both due to the ability to see countries and cities not frequently visited, and also due to their ability to eliminate one long-haul flight. Your cruise is taking you to amazing ports of call, but what do you do once you get there? Shore excursions are organised by the cruise line to take you to the sites and highlights of a particular port of call. Go snorkelling in French Polynesia, dog sledding in Alaska, or wine tasting in Italy, the cruise lines have numerous options to keep you entertained while off the ship too. These shore excursions come at an additional cost and can either be purchased prior to departure through your cruise personaliser (in most instances) or while you’re onboard (if they’re still available). If there is a shore excursion that you simply must do then we recommend booking early. While your cruise fare includes meals in the main dining room and buffet, there are a number of restaurants onboard that are classified as specialty restaurants. Attendance at these restaurants will be subject to a cover charge. The right side of the ship when you are facing the pointy end. The back end of the ship where the engines are located. The same thing. Your cabin will have some kind of window, either porthole size (smaller circle) or a picture window (larger rectangle or some other shape). If you’ve cruised with a particular cruise line before you are now one of their past passengers! Congratulations! As a member of a cruise line’s past passenger program, you may be entitled to additional discounts or inclusions not offered to other guests. Some cruise lines, such as Royal Caribbean and Celebrity, may require you to apply for a past passenger number before your first cruise. While a lot of the cruise ports you will visit will have a dedicated terminal that you can walk from the ship directly onto hard, unmoving land, some ports of call, which are often the smaller, more remote ports, have bays that are just too shallow for the large cruise ships to get anywhere close to land. However, this isn’t going to stop you from visiting! The cruise lines will use a number of their larger life boats, known as tenders, to ferry passengers to and from the port’s dock. The same thing. Your cabin will have doors that open to a balcony of some sort allowing you to get fresh air into your cabin. Please do not mistake a regular balcony cabin with one of Royal Caribbean’s ‘Inside with Virtual Balcony’ cabins – these cabins have a LED screen that gives the illusion of viewing the outside world.